Very popular with tourists in Amsterdam, smartshops (also called headshops) can be found throughout the city and sell products designed to expand the mind, dull the senses or any combination of the two. Smartshops are so named for two reasons, the 'smart' can be said to refer to the mind expanding properties of the products themselves or to the fact that these shops sell substances that are mind altering yet still legal - a smart way to do business indeed. They should not be mixed up with coffee shops, that sell mainly cannabis products (hash and marihuana) - smartshops don't as they don't have the necessary government permits, but they do sell other things you need when growing or smoking your cannabis. The Dutch approach to substance use is widely known as one of the most tolerant in the world and this can be seen by the amount of smartshops to be found in Amsterdam. While most countries will have a smartshop or two lurking in their cities, Amsterdam smartshops and headshops are numerous, easy to find and proud of what they do. Smartshops and headshops can be found all over the city, with the highest concentration of course being in the city centre. Smaller smartshops can be found mostly concentrated around the Red Light District. The list below is not exhaustive, but gives a good selection of the main smartshops to be found in Amsterdam. Innerspace (Spuistraat 108, tel 020-6243338 or Staalstraat 5, tel 020-3200064) - Large, professional and friendly, found in the city centre and across the Amstel from Rembrantplein. Tatanka (Korte Leidsedwarsstraat 151, tel 020-4212139) - Close to the nightlife district of Leidseplein with a wide selection of herbal energy and party supplements. Smart Zone (Sint Annenstraat 19, tel 020-4218449) - Located across from some windows in the heart of the Red Light District by the Oudekerk. Kokopelli (Warmoesstraat 12, 020-4217000) - Part of Conscious Dreams, located on the edge of the Red Light District close to the Hill Street Blues coffeeshop. Magic Mushroom Gallery (Spuistraat 249, tel 020-4275765 or Singel 524, tel 020-4227845) - Worth a look, if only for the presentation of their wares in giant glass mushrooms. 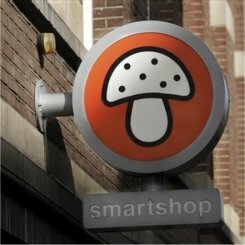 Psilocybines ('magic mushrooms') were recently banned in the Netherlands, but Dutch smartshops do still sell a wide range of other natural and herbal highs. Salvia, wild lettuce and even powdered guarana, which most of us know from its presence in energy drinks, are among the legal stimulants on offer. Depending on which of the many Amsterdam smartshops you visit the offerings will either be in the form 'natural looking' powders of a single herb with little to no branding, or heavily branded 'herbal highs' tailored to specific uses with mixtures of various herbs. NXT-Phase and Happy Caps are two popular brands focusing on the 'herbal ecstasy' market, offered by Tatanka. If you're determined to try magic mushrooms however, Amsterdam smartshops do still sell a variety of mushroom grow kits for those willing to put in the time, as well as the arguably less potent sclerotia, known to the lay man as truffles or Philosopher's Stones. However, they do not sell cannabis (marihuana and hash) because only coffee shops with a government license can do so. 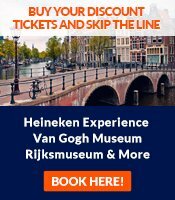 One very important point to remember when visiting Amsterdam smartshops is that if you are unsure of what you are taking or how to go about it, you should ask the staff in the shop, and listen to what they tell you. Most smartshop workers are happy to offer advice and many an unpleasant experience in Amsterdam could have been avoided by simply following the instructions given by someone who knows what they are talking about. It's not just highs on offer; most smartshops in Amsterdam also offer a selection of various paraphernalia to the discerning shopper. Grinders, bongs, vaporizers and many more items essential to the determined psychonaut can be found in smartshops as well as the many headshops dotted throughout the city. If you're looking to expand your mind a different way, you can usually find a book or two dealing with the subjects of mind altering substances, famous figures in the drug counter-culture or another related topic in most Amsterdam smartshops. Try one of the Innerspace branches listed above. Drugs in Amsterdam: what is allowed and what isn't?